To use Toon Boom Studio, you have to start the application. Remember, you can use Studio on Mac OS X or Windows operating systems. ‣ Mac OS X: Double-click the Toon Boom Studio 8.1 icon or select Applications > Toon Boom Studio 8.1. ‣ Windows: Double-click the Toon Boom Studio 8.1 icon or select Start > Programs / All Programs > Toon Boom Animation > Toon Boom Studio 8.1 > Toon Boom Studio 8.1. 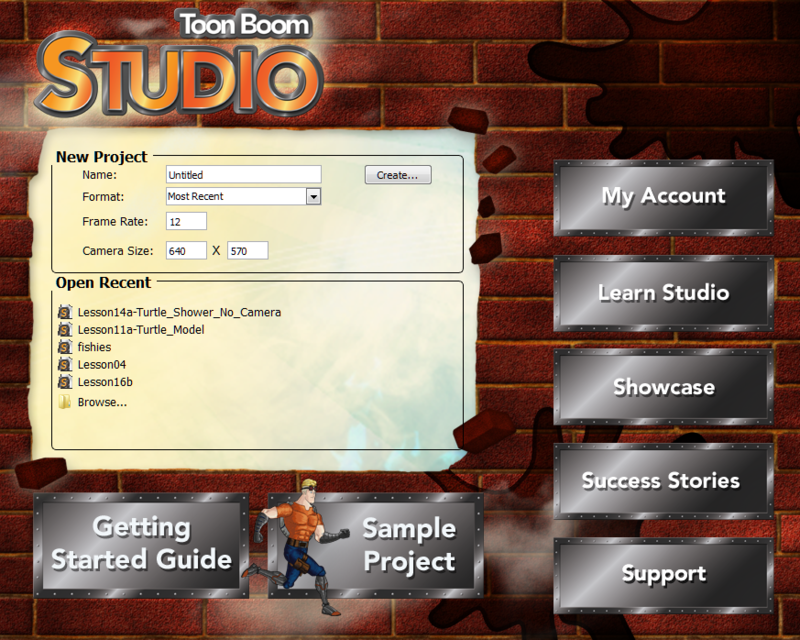 Toon Boom Studio opens, displaying the Welcome Screen.